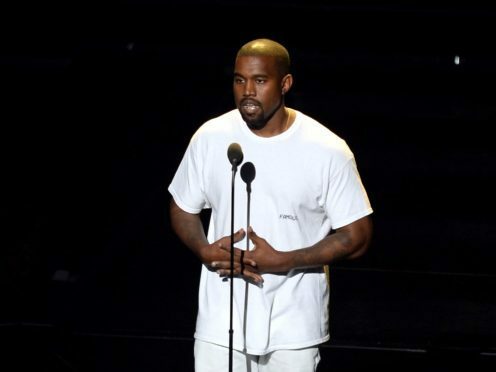 US rapper Kanye West has previewed what appears to be new music on social media. West, 41, uploaded a short video to his Instagram profile which saw him driving in a white sports car and working on a track in a recording studio. The clip’s soundtrack was a previously unheard recording featuring West’s falsetto vocals and the producer’s customary use of the auto-tune vocal effect. It is unclear whether the music will be used for a West solo release or for a recording project with another artist. The husband of reality star Kim Kardashian West released his eighth solo album Ye in June. He also recently produced a series of albums known as the “Wyoming sessions”, including for fellow rapper Nas, singer Teyana Taylor. As part of the recording session in a secluded studio in the mountainous US state, West made an album called Kids See Ghosts with another rap star Kid Cudi. In a tweet last week West suggest that he was working on a sequel to his 2011 collaboration album with Jay-Z, Watch The Throne. West was pictured in a Chicago recording studio with Chance The Rapper last month. He revealed in an interview on a local radio station that the pair were working together on Chance’s follow-up to his Grammy Award-wining album Coloring Book.